The ISOLDE facility, located at CERN, is operated by the ISOLDE Collaboration. 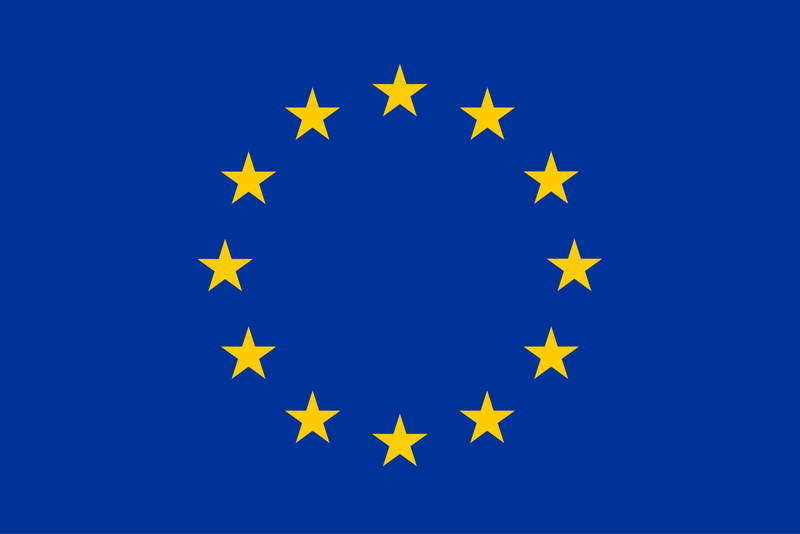 In May 1998 ISOLDE acquired the status of a Large Scale Facility within the TMR programme of the European Commission. The current contract within the Horizon 2020 framework trans-national access programme of the EU project ENSAR2 (Grant no. 654002) ( http://www.ensarfp7.eu/ ) offers support for travel and subsistence for external users of the facility. ISOLDE is the radioactive beam facility at CERN. The 1.4 GeV proton beam with average intensity of 2 μA from the PS-Booster accelerator impinges on thick targets producing a large variety of radioactive isotopes. The high proton energy and the accumulated target and ion-source knowledge allow for the extraction and separation of about 1000 different isotopes of more than 70 elements; this number of isotopes available for users is by far the highest at any ISOL-facility worldwide. The facility provides low energy 30-60 keV and post-accelerated radioactive beams. The energy of the latter will increase with a new superconducting linac to 4.3 MeV/u in 2015 and later to 10 MeV/u in 2017 within the HIE-ISOLDE upgrade programme. This linac will build on the success of REX-ISOLDE and be able to accelerate nuclei of various masses, lifetimes and production rates. The new energy regime will allow a new class of experiments to be performed, thus increasing the physics reach of the installation even further. Further plans include the coupling to HIE-ISOLDE of the test-storage ring, TSR, from MPIK Heidelberg, making ISOLDE the only ISOL-type facility worldwide coupled to a storage ring. The TSR will further open the physics domains of research at ISOLDE. Two target and ion source units. There are 20 different types of targets including neutron converter that are combined with three types of ion sources to chemically select ions of the different elements. When no chemical selection is possible lasers are used for selectivity. Two mass separators with resolving power of 2000 and 6000 unit of mass, used for isobaric separation. A radiofrequency cooler and buncher, ISCOOL, to bunch the ion beam, used especially for laser-based experiments. Three beam lines, Which can simultaneously deliver radioactive beams: the central beam line connects to the main experimental devices through many different branches, the other two can deliver simultaneously beams differing 15% in mass from the central one. As part of the HIE-ISOLDE project a design study to improve further the purity and beam quality is presently on-going, which will attract new users. Present experiments mainly deal with nuclear structure questions, explored via measurements of ground state properties (mass, radii, moments) and decay studies or Coulomb excitation and transfer reaction studies. Part of the programme is devoted to nuclear astrophysics and fundamental physics. Close to 20% of the beam time is given to solid state physics and life sciences with broad societal benefits. Appropriate experimental and laboratory infrastructure is provided for external users, including electronics, radiation detectors, multi-parameter data acquisition systems, laser installations, chemistry and radioactive laboratories. The ISOLDE hall connects the central beam line through different switchyards with more than a dozen beam lines. Shielded collection points and laboratories for the handling of radioactive samples are also available. Two beam lines for post-accelerated beams will be operational in 2015. MINIBALL is a highly efficient germanium array placed after the post-accelerator for Coulomb excitation and transfer studies together with a Si-Array called T-REX. In 2015 an electron conversion spectrometer, SPEDE, will be added for spectroscopy studies on actinides. A versatile scattering chamber is available behind the post-accelerator for reaction studies. The Collinear laser spectroscopy (COLLAPS) and resonance ionisation laser spectroscopy (CRIS) set-ups are used to determine ground-state and isomer charge radii, spin and magnetic and quarupole moments. In addition COLLAPS can be used for beta-detected NMR while CRIS for decay studies on isomeric pure samples. The ISOLTRAP setup with its Penning traps and MR-TOF spectrometer is devoted to high-precision mass measurements. Low-temperature dilution refrigerator for nuclear orientation (NICOLE). Total Absorption Spectrometer (TAS) for beta decay studies. New fixed setup dedicated to decay studies (IDS). UNV experimental chambers for surface and interface studies (ASPIC). Several angular-correlation spectrometers for perturbed angular-correlation studies, online and offline emission-channelling apparatus and a photoluminescence system for solid-state physics. A new line for studies with polarised beams (VITO) applied to material science and biology. The line will accomodate UHV experimental chambers for surface and interface studies (ASPIC). Due to the increasing number of ISOLDE users and experiments a new class C laboratory will become operational in August 2014. It will host an extended laboratory for condensed-matter and bio-physics with a separate chemistry laboratory, as well as 3 enlarged laser laboratories, a medical workshop, and a new detector labortory. The 700 different nuclei produced at ISOLDE in quantities high enough for spectroscopic studies are available for the users. Approved experiments (see below) have access to all common installations at ISOLDE. The ISOLDE physics and technical groups provide advice and assistance to the users with regards to setting up and performing the experiment. All ISOLDE users have access to the standard CERN services, including computing, library 24h, magazine store, electronics pool, restaurants, housing service, etc. ISOLDE presently provides about 3500 hours of beam time per year for about 50 experiments realised with the leading and participation of more than 400 external users. The first determination of the ionisation potential of astatine (Nature Communications 4 (2013)1835). ISOLDE users are registered through CERN’s Users’ Office (http://ph-dep-usersoffice.web.cern.ch/ph-dep-UsersOffice/) as associates and thus have full access to the services offered by an international research centre. To be given access to the experimental hall they must pass several safety courses and obtain a personal dosimeter. The access to the radioactive beams is given according to the operational schedule whereas other infrastructure of the ISOLDE facility is continuously available for all users. The work is normally done on-site during 1-15 days depending on the project, typically accompanied by further measurements and/or data analysis performed in the users’ home institutes. The beam scheduling of all approved experiments is done to maximum overall facility efficiency, scientific output and quality. The ISOLDE Physics coordinator schedules approved experiments according to the users’ request and technical constraints. More than 95% of ISOLDE users are external, and the support offered to external users will also be provided to users covered by the ENSAR2 contract. New users are invited to participate in regular training courses on machine operation to run their experiments efficiently and responsibly. A support office(r) is available to ISOLDE users for administrative and organisational problems. General assistance and information is provided as well by the CERN Users Office and on the official CERN website. All new users are fully integrated into the scientific environment via seminars, lectures, etc. and access to libraries and computing facilities. Both internal and external transport services for material exist. So-called “team accounts” are provided to assist users in managing their finances at CERN. The ISOLDE physics group and the technical teams comprises some of the world-leading technical experts in radioactivity handling, high-temperature target technologies, ion sources, and radioactive beam production. Due to the increasing number of users a large amount of support will be required under this contract. This will be acheived through the prescence of the transnational access project coordinator who also acts as administrative liason. Information for new users is published through the web page (http://isolde.web.cern.ch/) where calls for TNA support are also announced. E-mail lists of experiment spokespersons and of all users are employed as well to ensure efficient communication. Yearly user workshops are held where new experimental possibilities are presented. The ISOLDE facility and the possibilities it provides for new users are presented frequently at international meetings. Community funding of transnational access helps new users to establish their own scientific programmes at ISOLDE. The funding is crucial to give young researchers access to an international scientific environment at an early stage of their career. Proposed experiments requesting access to ISOLDE are evaluated scientifically by the ISOLDE and nTOF Committee, INTC, (http://committees.web.cern.ch/committees/intc/welcome.html) with scientific members from outside CERN. The INTC committee is advised on the feasibility of the experiments by the Technical Advisory Committee. The recommendations of the INTC are transmitted to CERN’s Research Board that approves experiments. Approved experiments automatically get access to CERN’s infrastructure, including the services mentioned above. The selection of users for transnational access support takes place as under FP7 . The experiment spokesperson collects and submits requests to the User Selection Panel. The panel consists of four outside members, including the INTC chairman and the chair of the ISOLDE Collaboration committee, as well as the ISOLDE Physics Group leader, and the ISOLDE Physics coordinator and the ISOLDE solid state physics coordinator as ex officio members. The panel meets typically three times per year, as the operational schedule is being finalized. As a rule all approved experiments that fulfil the TNA eligibility criteria are funded. The level of funding is in general in proportion to the number of hours of access to the facility assigned to the particular research group by the INTC, but new users of ISOLDE are favoured, and young researchers and others with limited abilities to secure their own funding for pursuing a research program at ISOLDE are given priority with respect to established researchers. The following four steps must be completed in chronological order. 1. ENSAR2 Funding application form (see table below) should be completed by the experiment spokesperson and sent to Jenny at isolde.user.support@cern.ch before the relevant deadline (next deadline will be Autumn 2018). The application form should list all the people who will take part in the experimental run concerned and NOT just those applying for support. This application will be considered at a meeting of the ISOLDE ENSAR2 selection committee. 2. User request form (see table below), to be completed by the supported user (whose eligibility has already been confirmed via step 1.) and sent to Jenny at isolde.user.support@cern.ch BEFORE arrival at ISOLDE. 3. Experiment report (see table below): to be completed by the experiment spokesperson within one month after the experiment at ISOLDE and sent to Jenny at isolde.user.support@cern.ch . 4. Experiment Attendance Form (see table below) to be completed by the experiment spokesperson (only if the information is different to that submitted in step 1.) within one month after the experiment at ISOLDE and sent to Jenny at isolde.user.support@cern.ch . 5. Questionnaire to be completed by the experiment spokesperson and submitted to Brussels. Scientific publications that result from research carried out at ISOLDE must acknowledge any financial support of the EC programme and such peer-reviewed publications should have open, free-of-charge access. "The research leading to these results has received funding from the European Union's Horizon 2020 research and innovation programme under grant agreement no. 654002."